Fan Galleries Consider Art Walk on Main | News and Features | Style Weekly - Richmond, VA local news, arts, and events. B.J. Kocen, co-owner of the Glave Kocen Gallery on West Main Street, says nearly a dozen galleries in the Fan are considering their own art walk, possibly on the last Sunday of each month. While Broad Street galleries struggle to get the troubled the First Fridays Art Walks under control, nearly a dozen galleries in the Fan are banding together to promote art venues on West Main Street. The formation of the group, Galleries on West Main, isn’t related in any way to First Friday’s recent woes, organizers say. They’re simply trying to promote the concentration of art spaces between Harrison and Meadow streets. The organization has talked about holding a monthly art event, possibly called Last Look Sunday, that likely would draw comparisons to Curated Culture’s First Fridays, the Broad Street events that have seen problems with crowds and disruptions in recent months. Organizers decided on Friday to cancel September’s scheduled Art Walk. Brazier notes the differences between the two streets’ galleries: Many Broad Street galleries are nonprofit venues focused on local artists, whereas the Main Street spaces sell nationally known as well as local artists. Organizers are working on promotional materials, including a website (mainartsupply.com/galleriesonmainstreet) and a Facebook page. The latter was started more than two months ago. 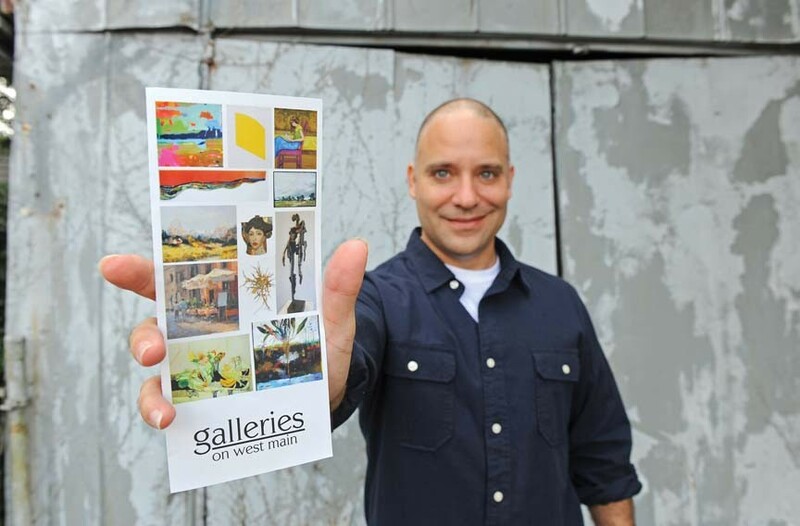 Kocen says area galleries tried unsuccessfully to organize about three years ago. “We couldn’t get past what to name the association,” he says.